Timing belt magnetic conveyors can carry steel sheets to and from processing machines in situations that require rapid acceleration and deceleration. The position is determined exactly through the use of a toothed belt. Timing belt magnetic conveyors are available with permanent magnets or electromagnets. When the application only involves transport, permanent magnets are used. 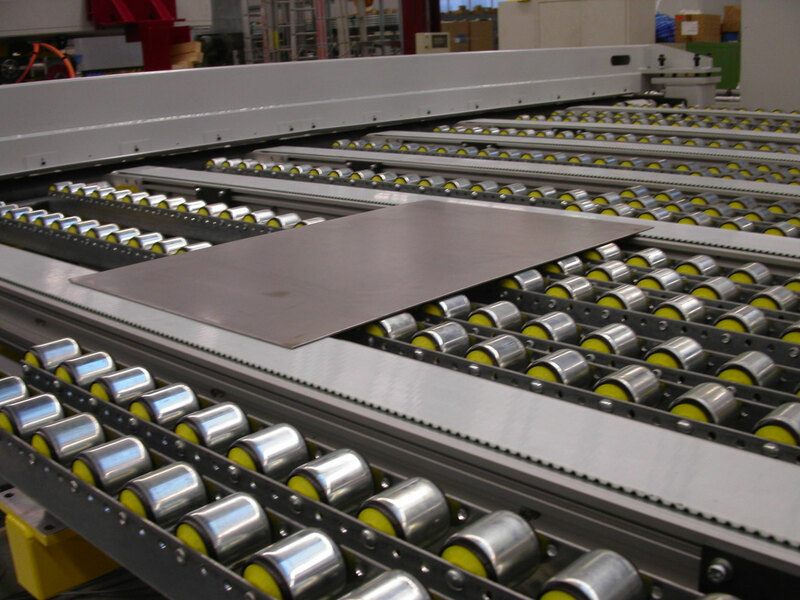 When a robot is used to remove the steel sheets from the belt, we recommend the use of electromagnets; these can be switched off immediately as soon as a robot arm has grasped the sheet. 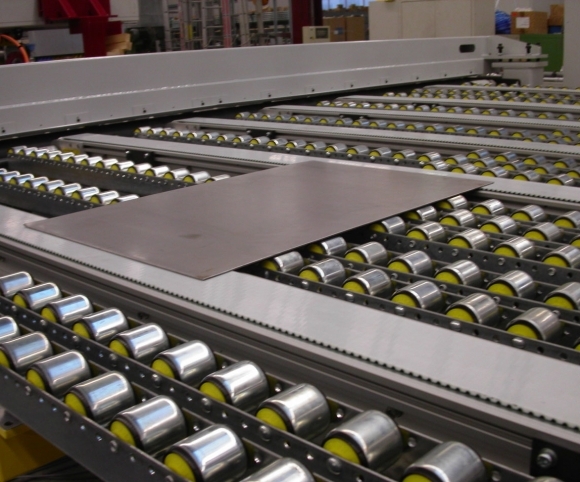 Multiple timing belt magnetic conveyors can be installed in a parallel configuration. The belts are then connected together via sprocket linkage.